It’s no secret that the NBA is a league largely comprised of African-American players. It would be willfully ignorant to say otherwise. While it certainly hasn’t always been that way (just look at any picture from pre-1970), the white guy used to be a common sight on a basketball court rather than a rarely-seen sideshow. Guys like Kevin Love were the norm, but now a star white player is as rare a find as you can get on an NBA court. That’s not to say it’s a bad thing; after all, the only thing holding white players back from success in the NBA is themselves. The simple reality is that in this era a player can be assessed by purely his own merits, rather than having something like race play a factor. However, the other side of this is that the NBA’s fan base is made up largely of white people. While this absolutely does not impact the love guys like LeBron James or Kevin Durant get from the average white fan, it does mean someone like Love can enjoy a long career as a fan favorite even if his numbers dwindle. Some white players, though, have proven worthy of the adoration they receive. 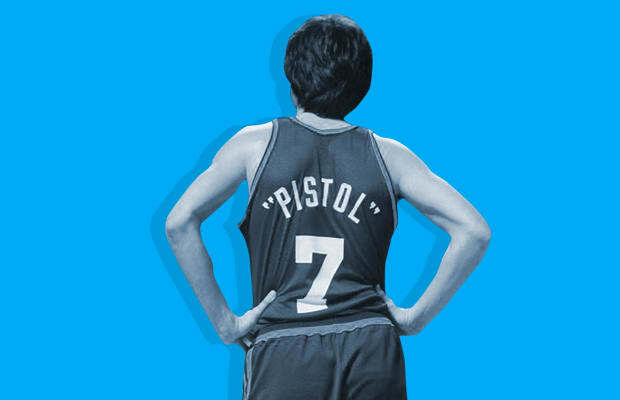 Today would've been Pistol Pete's 67th birthday so we take a look at the Greatest White Players in NBA History. *Note: We’re defining “white” as North American-born and having two white parents.